Dr Dutton has been in clinical practice for the past 17 years after graduating from the University of New South Wales, Sydney. He then worked at the Prince of Wales Hospital and St. George Hospital in Sydney. He completed his subspecialty training and was on staff at the Massachusetts General Hospital and Harvard Medical School, USA. Dr Dutton has worked with the Singapore Sports Council and has treated some of Singapore's national elite atheletes of various sports such as football, badminton, basketball and netball. 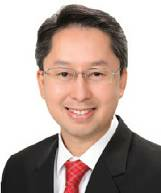 He was an official physician during the 2010 Summer Youth Olympic Games hosted in Singapore. In 2003, Dr Dutton won the Singapore Young Investigator Award for his work on stem cells therapy for the knee. Dr Dutton has obtained several government research grants for cartilage repair and bone graft applications. Dr Dutton is one of the few orthopaedic surgeons in South-East Asia able to perform stem cell therapeutics in orthopaedics. Dr Dutton regularly gives lectures around the region and has trained many orthopaedic surgeons from the various South-East Asian countries.